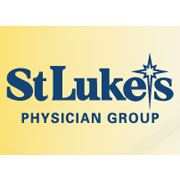 St. Luke's Physician Group is a network of physician practices affiliated with St. Luke's University Health Network. The network includes primary care, OB/GYN and specialty practices. All offices are conveniently located throughout communities in the Lehigh Valley and in upper Bucks, Montgomery, Monroe, Carbon and Schuylkill counties. All physicians are on staff at St. Luke's University Hospital - Bethlehem Campus, St. Luke's Hospital - Allentown Campus, St. Luke's Hospital - Anderson Campus, St. Luke's Hospital - Miners Campus, St. Luke's Hospital - Quakertown Campus or St. Luke's Hospital - Warren Campus.